When these recordings were originally released as a 2-LP set in 1969, Fleetwood Mac had turned into a contemporary rock format. With 'Man Of The World' they had conquered European and US pop charts. But on January 04, 1969 the situation was different. 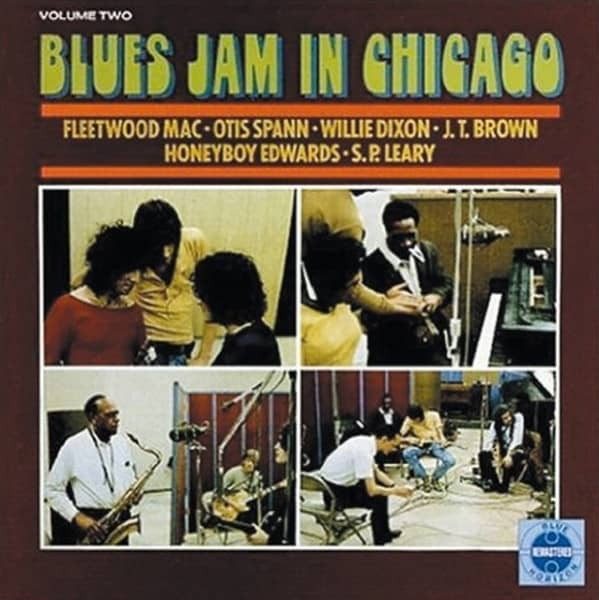 With the help of bass player/producer Willie Dixon, Blue Horizon's boss Mike Vernon arranged for a blues allstar session in Chicago, during one day producing plenty of material for a double album. Although 'Blues Jam At Chess' turned out to be the biggest commercial flop in the label's history: bluesfans the world over have always loved these sides because they are evidence that white Europeans can play the blues alongside their US masters. Most original multi-track tapes have been destroyed; that's why these two CDs are containing a couple of previously unreleased takes, only. Along with a lot of interesting studio chat you'll get these recordings in new re-mastered quality. This set is a late '60s standard, a classic that belongs to every serious blues record collection. PETER GREEN - gtr/voc, JEREMY SPENCER - gr/voc; DANNY KIRWAN - gtr/voc, JOHN McVIE - bass, MICK FLEETWOOD - drums. Special guests: WALTER 'SHAKEY' HORTON - hca/voc, BUDDY GUY - gtr, DAVE 'HONEYBOY' EDWARDS - gtr, WILLIE DIXON - bass, J.T. BROWN - ten, OTIS SPANN - pno, S.P.LEARY - drums. Customer evaluation for "Blues Jam In Chicago Vol.2"